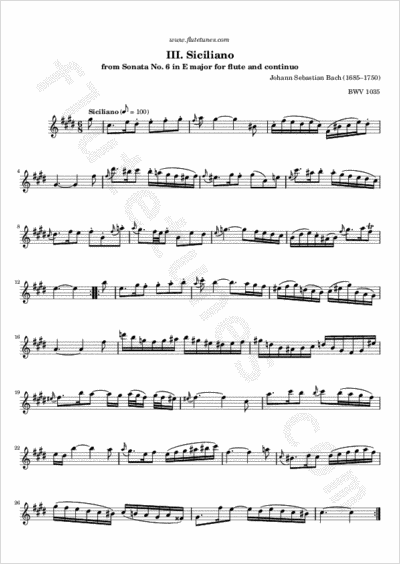 This is not the famous Siciliano from Flute Sonata No. 2, but the lesser known one from Sonata No. 6 in E major. The movement itself is in the key of C-sharp minor, the relative minor of E major, and is in binary (AABB) form. With its distinctive dotted rhythms, this 6/8-time pastoral piece can almost be seen as a sort of slow-motion gigue.